A top 10 confetti guide! There’s something so incredibly joyous about confetti, the colour, the action, the glitter, the fact that its raining tiny little rainbows of happiness over you. Its no wonder people choose it as a way to celebrate love. 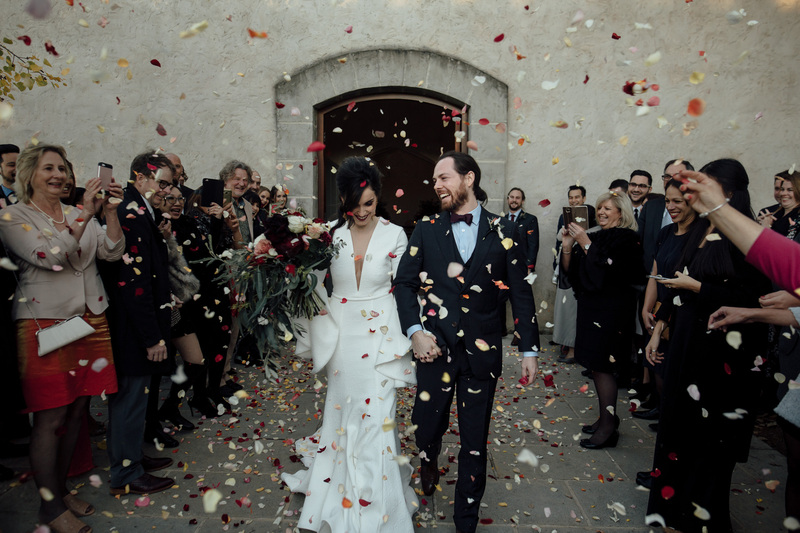 We’ve put together a confetti guide along with some of our most loved confetti photos. 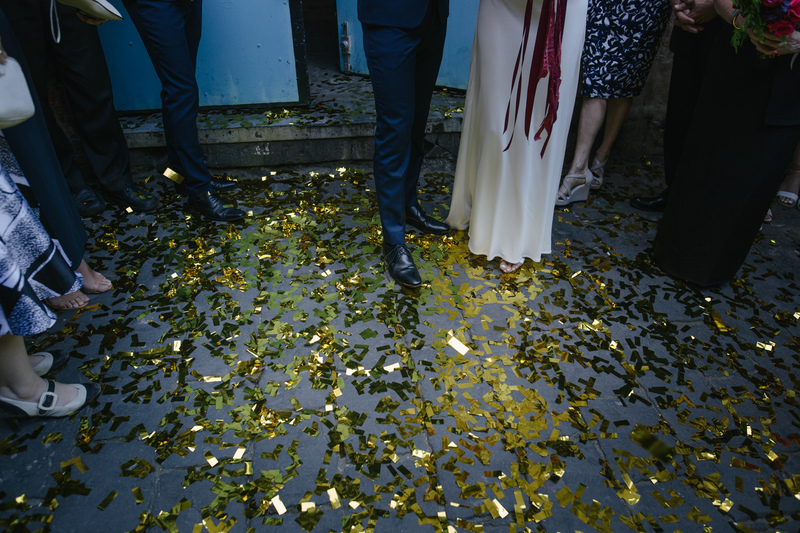 Here’s our top 10 list of what to think about when you’re planning to make it rain confetti glory at your wedding including some great places to buy confetti in Melbourne. There are so many great types of confetti to choose from. One tip to make things easier is to pick one that is going to work with your wedding theme. If you’re going glam try silver or gold. 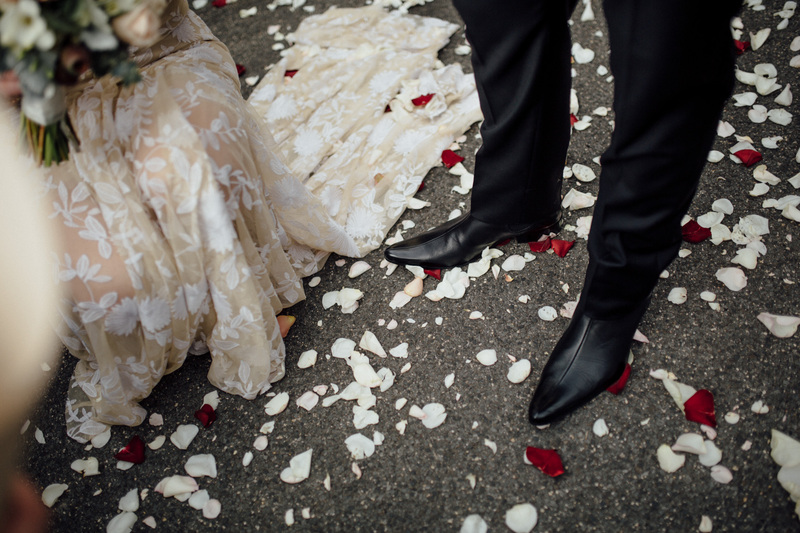 Having a modern wedding? 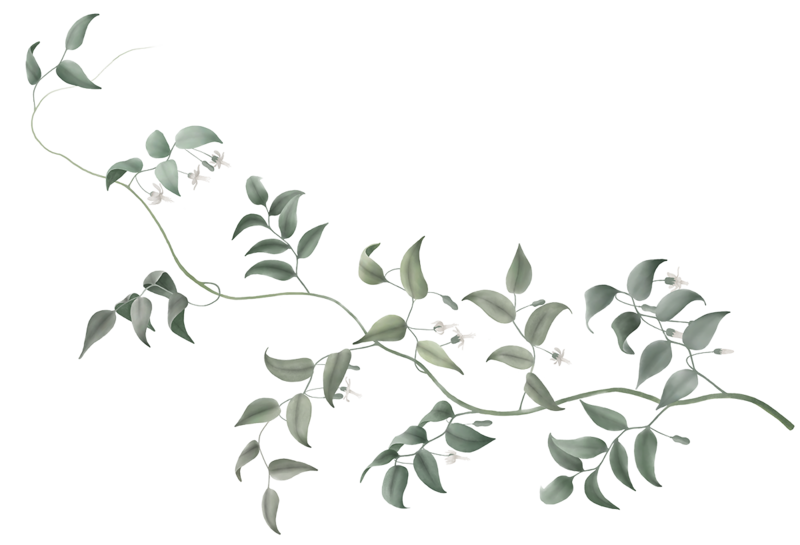 Look at just white or white mixed with one other colour, like one that you have used in your florals or invites. Going boho or country? 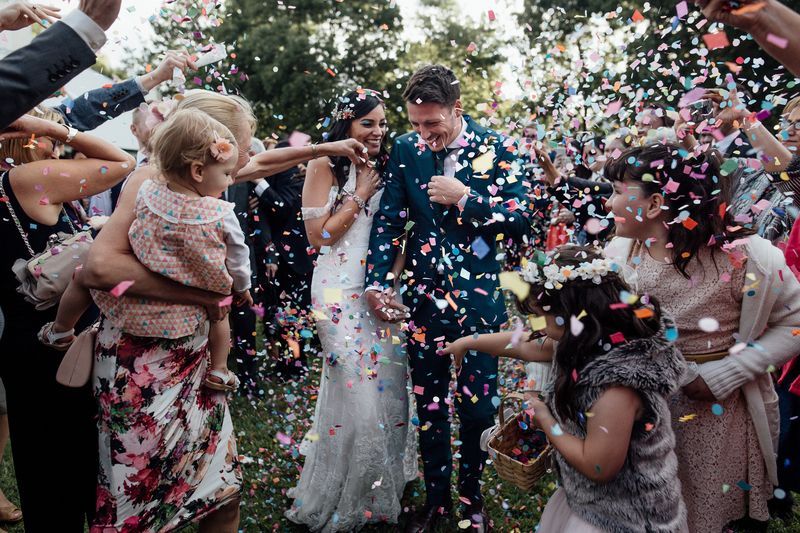 Mix up the sizes and shapes of confetti to keep it textured and loose. If you’re having a photo booth (oh, what’s that, looking to hire one? Look at our Heartbreak Hotel photo booth here) find confetti that both compliments but stands out from your photo booth backdrop. For example, if you have a red velvet backdrop, gold glitter is a perfect partner. So fancy! 2. Getting your confetti airborne. 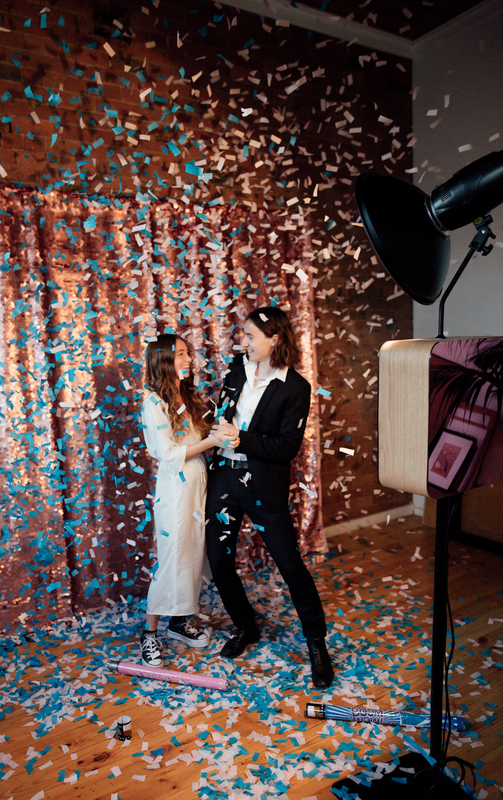 There are many ways to get your bundles of confetti up into the air. 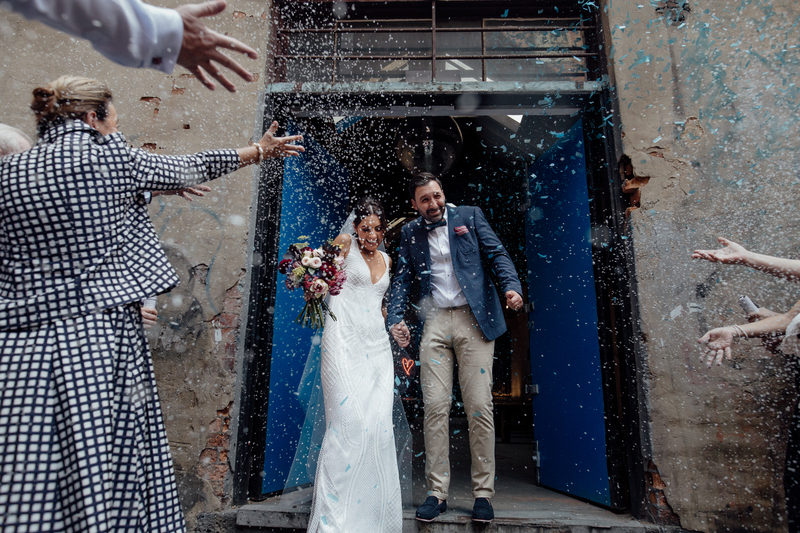 The most traditional is having your friends and family at the wedding throw handfuls of loose confetti over you as you walk back down the aisle after your ceremony, in your photo booth or during your portraits. A hot tip here is to get people throwing upwards rather than straight at your face…Traditional and simple is always great but boy have things have moved onward and upward in recent times. There is now hand held cannons that go off with a burst and shower confetti high and wide and also compressor cannons that can go off on the dance floor to make sure everyone realises they’ve arrived to the party. 3. Best place to throw confetti? This one often gets overlooked so we thought we’d make a point of it in our confetti guide. Where is the best place to throw confetti at your wedding? There are a few things to think about, make sure it’s out of the rain, soggy confetti aint no fun for anyone. Be sure to have a windbreak or be out of the wind so your confetti doesn’t just fly away into the neighbouring property. On that note, it’s important that the confetti isn’t going to have an impact on the surrounding environment or people, go biodegradable or natural all the way. Use the right type of confetti in the right place. 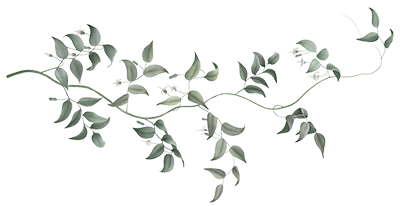 If you’re throwing it around outside, it’s best to look into biodegradable options or use flower petals. Try and keep to areas where you’re not leaving a mess and that are easy to clean up. Safety first kids! Putting together a confetti guide means we know all about responsible confetti time so here are a few safety tips from us to you. Confetti on hard dance floors can be slippery so be wary. Cannons should never be fired close to people or at people, there’s also funny youtube clips of people firing them upside down but that’s also really not ideal, maybe choose the responsible people for firing duties. Confetti can also have pieces small enough to be a choking hazard so be aware of the size and type you are getting if you are going to have small people at your wedding. It’s always a must to get permission from your venue and ask them if they have a preference for the type of confetti to use. Many churches have a no confetti policy as it leaves a mess in the grounds so it’s best to check with everyone. 7. Fun ways to use confetti. The world shines a little brighter when confetti is involved. 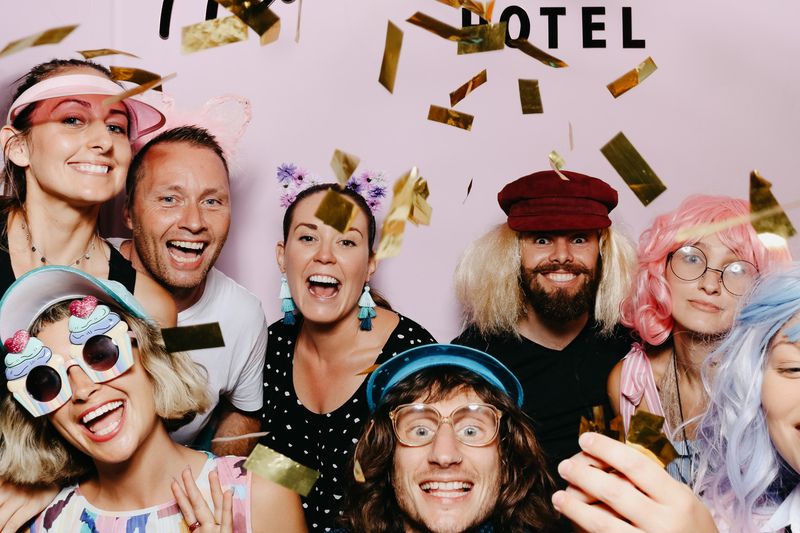 There are so many ways to have fun with it, here are a few of our favourites: On the dance floor, try and get people to not lose their brains with joy when confetti cannons are matching their dance moves. 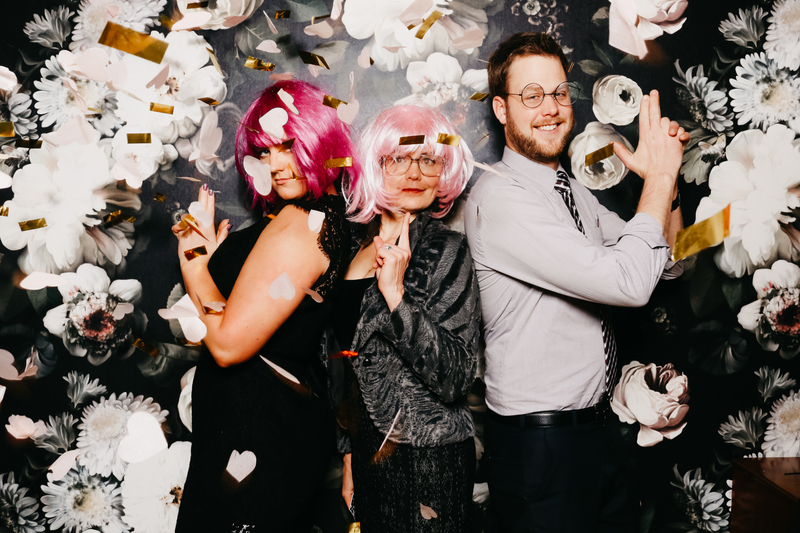 In the photo booth, it is hands down the most fun prop and adds magic and endless glamour to your photos. Here’s a few taken on location with Heartbreak Photo Booth here in Melbourne. 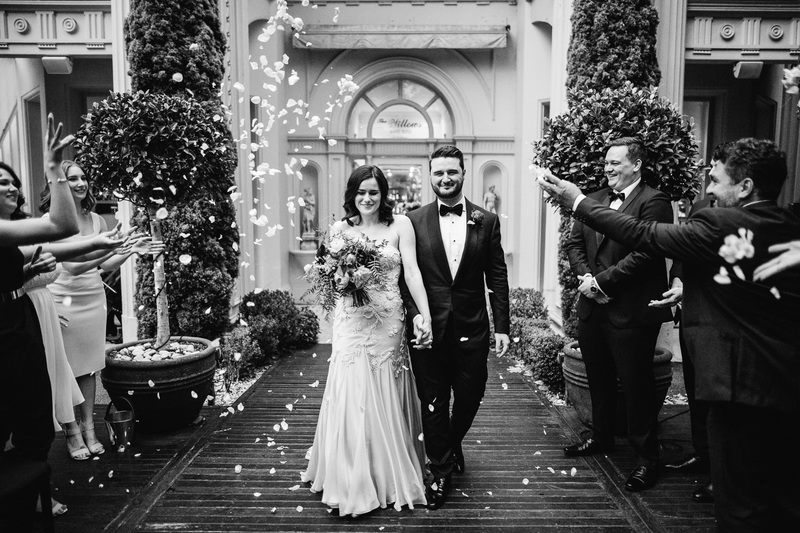 Getting your guests to shower you in confetti as you finish or exit the ceremony involves huge amounts of joy for everyone involved. It takes a little planning and will depend on your ceremony venue. 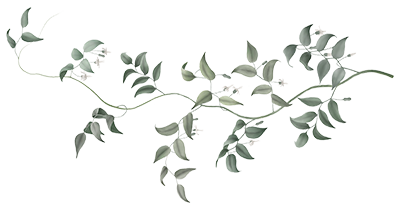 For an outside wedding you have a little more freedom, ask a friend to hand out confetti or petals while you are signing your marriage certificate. Once you have been announced as officially married, walk down the aisle to handfuls of fun raining down on you. If you’re getting married in a sweet chapel, walk to the end of the aisle and hug your guests. As they head outside they can grab handfuls of confetti and make a guard of honour and wait for you to exit the chapel. Burst out into your waiting family and friends and be showered in love. This style works especially well for photos. Remind people to throw up not directly at you… The more hang time the better the photos. 9. How much does it all cost? It all depends on what you want to do with it so after you have thought about all the other points in this article you’re ready to do your research. Hand Held confetti canons cost around $30 AUD each and you will need at least two to create an even rain of confetti goodness. 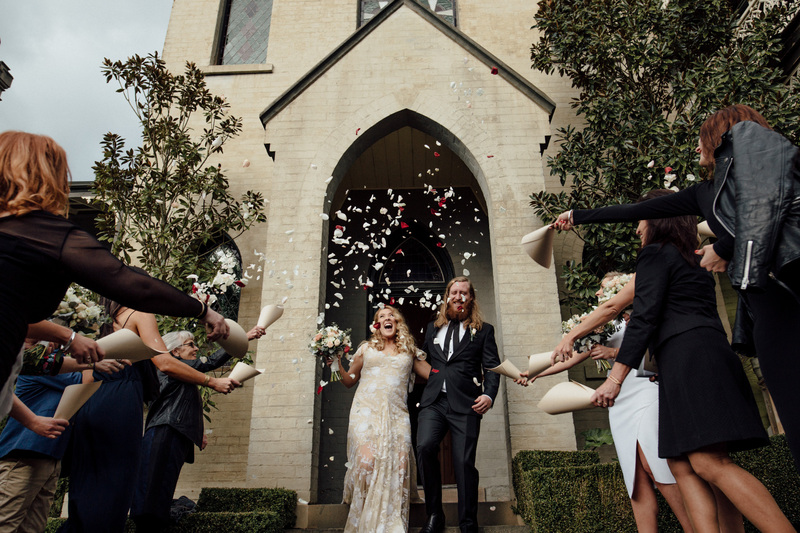 To hire a confetti canon can be from anywhere between $150 – $300 AUD. There are different sizes for different applications. You can get bigger, stronger ones for stages and dance floors and smaller ones for ceremony exits. You can also buy bags of handheld confetti or petals to hand out to guests to use. This option is sometimes cheaper and more fun because it gets your guests involved. 10. Best place to buy from? 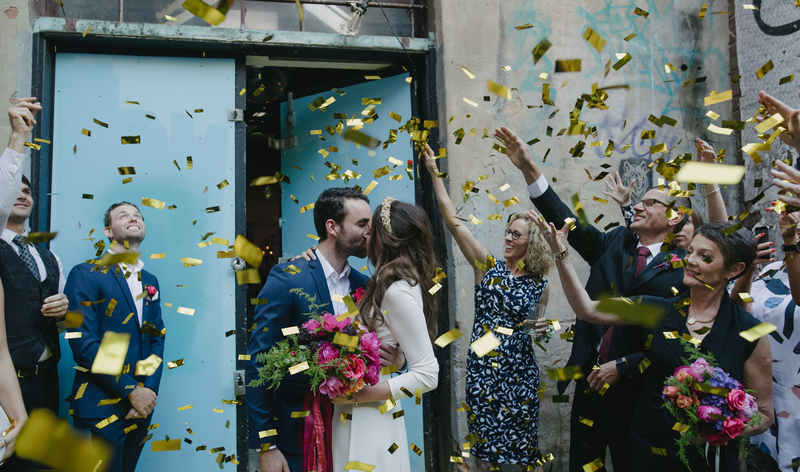 Here in Melbourne we have used and recommend Pop Confetti! For handheld cannons and Poppies for Grace for boutique and unique confetti styles and colours. So there you have everything you need to know in this handy confetti guide. Go forth and be the confetti this world needs. I’m hoping for some awesome golden confetti for our wedding! Canons wasn’t a bad idea – thanks Jai! Thanks Alex!!! Thanks for reading my blog! !